Crowdfunding platforms like Kickstarter and Indiegogo are teeming with products that claim to be the smartest this and the smartest that. The Balcony Pets Apartment Pet Door, which recently hit the crowdfunding platform with a $22,000 funding goal, is not one of them. 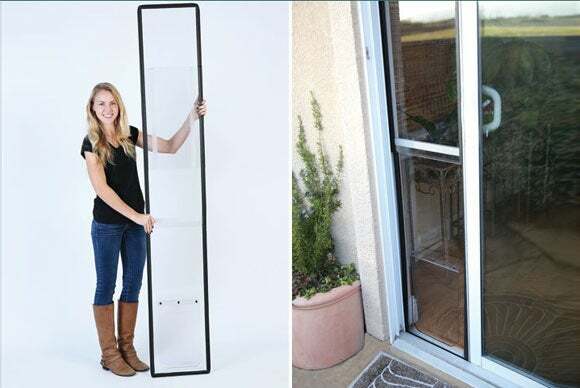 According to the Kickstarter page, this invention is a low-cost alternative to existing pet-door solutions that are expensive, difficult-to-handle panels requiring special tools, expertise, and/or significant modifications to the home’s structure. “Three lightweight, clear polycarbonate panels snap together easily without tools and fit into the tracks of the sliding glass door. Rubber gaskets grab the inner tracks of the sliding glass door for a secure fit,” the Kickstarter page reads, adding that the modular door’s adjustable fastening system allows it to work with sliding doors of various heights. The $150 Balcony Pets door is available for $99 to “Early Birds” on Kickstarter, with shipping estimated to begin in June, 2015. But if you live outside the U.S. or Canada, you’re out of luck as these are the only countries it will ship to. Why this matters: What’s there not to like about an affordable, easy-to-use product with real utility even if it’s low-tech or, as is the case here, no-tech?